Searching for AWS Cloud Support Engineer interview questions and answers to crack the interview in the first attempt? You’ve reached the destination. AWS is a cloud storage service offered by Amazon for reducing the issues of data storage. When you want to grow up your business, this kind of storage can help you in so many terms. In order to get AWS jobs, the desired candidates first need to crack the interview of AWS. 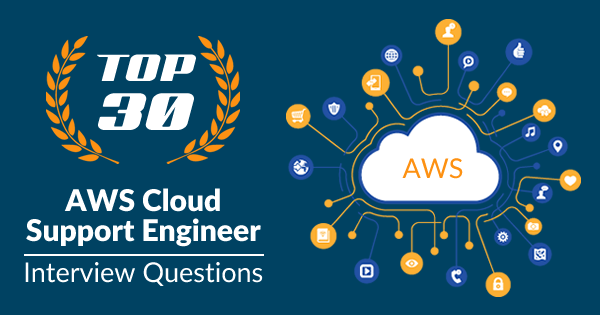 In this blog, you can check and understand top AWS Cloud Support Engineer Interview Questions to prepare much better for your AWS Cloud Support interview. Sometimes, AWS Cloud is termed as the combination of laaS, Paas and SaaS. And your role in such job of Cloud Support Engineer will be to provide the required technical help & support to the customers of AWS. Candidates can prefer their working shifts just after cracking the interview. 1. What does AWS Availability Zone signify? Answer: When you want to collect the available resources of AWS then you have to go through the AWS availability zone. For fault tolerance, properly designed applications will be designed. Yes, to ensure the fault tolerance in a proper way AZ’s had low latency connections between each other. It is one of the most common and frequent questions asked in the AWS interviews. This is among the most important AWScloud interview questions and answers asked by the interviewer in AWS interview irrespective of the job role. 2. What benefits AWS usually offers to its clients? Answer: Everyone knows that AWS is a highly reliable and trusted web service introduced by Amazon. It is a secure and safe web or cloud services platform which can take your business on some great levels of success. This type of questions lie under the categories of Amazon Support Engineer interview questions and are most common. This means that you have to clear your basic first to clear or crack this interview. Whenever you will be preparing for an AWS interview, you may find such basic questions among AWS cloud interview questions. AWS provides compute power services, database storage, delivery of content and several other relevant support services to help its clients. Worldwide customers have already preferred the AWS platform, products and solutions to build reliable applications with much-boosted flexibility and reliability. It is truly a great IT infrastructure platform for both the smaller and larger scale businesses. 3. What is currently the global networking picture of AWS? Answer: Currently, the AWS has 55 cloud spans availability zones, and the total geographical regions or areas of AWS are closer to 18. 1 local region will be available all across the world. In upcoming years, AWS has announced to inaugurate 12 more availability zones in countries like Bahrain, Hong Kong SAR, and Sweden and also in the United States. It is always better to collect information about the cloud support engineer job description before going for an AWS Cloud Support Engineer interview. As AWS is a global cloud platform which can easily be accessed by worldwide businessmen for different purposes, the cloud support engineer salary would be higher. 4. Which kinds of jobs are available in Amazon web service (AWS)? Answer: At the present time, Amazon is seeking to hire a software development engineer, product managers, account managers, solution architects, support engineers, system engineers, designers and plenty more. If you are looking for Amazon AWS cloud support engineer interview questions then this can become a handy and common question asked by the interviewer to test out the common knowledge of job seekers. 5. What is the perfect definition of Scalable in AWS? Answer: The features of effortlessly growing in size, capacity, and scope when required according to the demand, will be termed as the perfect definition of scalable in amazon web service. This looks very simple but it can turn out to be the most important AWS cloud support engineer interview questions for job seekers to get their desired job in AWS. 6. What problems you can face when you want to access the website with only one IP address? You should always keep this important question in mind while going through the Amazon AWS Cloud Support Engineer Interview questions that the interviewee can ask you anytime during the interview. 7. What is the actual goal of cloud services of Amazon Web Services (AWS)? Answer: You should say “storage”, this is the main goal of AWS cloud services. 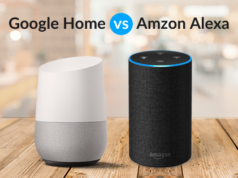 The customers can use the Amazon web service to store different forms of data like videos, music files, movies, pictures, files, and documents. This is one of the frequently asked AWS cloud support engineer interview questions which can be asked during the primary time of your interview. As a candidate, you have to stay aware of the rolling or variation of such questions because the interviewer will never make it easy for the job seekers. Your thinking capacity and knowledge will be tested plenty of times. 8. What do you actually know about the term high availability? Answer: When you want to access a similar thing or goal in AWS using various platforms then this entire happening could be termed as the high availability. It simply refers to the basic and advanced procedure of accessing something by using the available multiple platforms. To understand it better, you have to collect more information about the high availability term as it can become an important amazon support engineer interview questions asked by the interviewer anytime during your interview. Make yourself assure that you have strictly cleared the basics of Amazon web service questions before going for the interview. 9. How you can bring the website content back to the user when a user submits the domain name into a web browser? The web server hosting services will receive your input or signal in the form of a request. After that, the web server hosting company will surely revert back your request with the suitable results. When you run a browser, it sends a request to the internet protocol address and this IP address will automatically be connected to the domain name. The web browser will contact a domain name system to bring back the website content to the users. In AWS, the cloud support engineer salary will depend on your skills and performance, which you have demonstrated in the AWS support interview. So, if you expect more salary in your AWS job then answer each and every question asked by the interviewer clearly and confidently. 10. Why do you use the common language domain names instead of the IP addresses? Answer: The common language domains names are much easier to keep remember and communicate and that’s why sometimes, you can easily prefer to use such common language domain names instead of the internet protocol addresses. 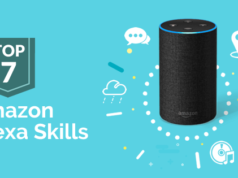 Before preparing with the AWS cloud support engineer interview questions, go through the cloud support engineer job description in detail and make yourself assure that you have much better knowledge of the internet and its components. 11. What are the two main functions/items required to browse any website? You are reading the question as it is categorized among the most important Amazon AWS cloud support engineer interview questions required for cracking the AWS interview conducted by Amazon. 12. How you can define IP address? Answer: An internet protocol or IP address is the current location of the computer or computer network. When anyone needs to locate their computers then the IP address can play an important part. Note: the internet protocol address or IP address will totally be unique for each computer all across the world. 13. What is the meaning of fault tolerant? Answer: In some situations, when a certain amount of failures and issues occurs, then the controlling or managing process of such failures will be referred to as the fault tolerant. It is one of the most important self-healing properties of the AWS Cloud. This has become an important Amazon AWS cloud support engineer interview questions and answers as it looks simple but the answer to this question is really complex. It is actually a property of systems that allow a system to work or continue the working in plenty of failures during any time. It is a capability of the computer system which makes the working or users much reliable. Such systems are designed to protect any current working system when various failures occur during any specific time. It provides the required continuity to any network or system to stay away from the harms of interruptions. 14. Which kinds of consumer cloud-based services are accessible? SaaS: It simply refers to software as a service. In this service, the entire application will be a service provider. This is a perfect choice for internet networking and its related tasks. PaaS: It signifies platform as a service which uses the multiple platforms instead of using applications. Users can use this cloud-based service without installing or downloading any specific application. Hence, the speed of working will be all in your hands. IaaS: This simply means infrastructure as a service and it actually works on this formula too. It always includes the outsourcing of other platforms to provide better and reliable services to its users. Users can enjoy the processing provision of IaaS for different kinds of works. This is one of the top AWS Cloud Support Engineer interview questions that you may come across. Interviewers ask this kind of questions to check your basic understanding of the cloud concepts. Searching for AWS VPC Interview Questions and Answers? Here’s Top 20 AWS VPC Interview Questions with Detailed Answers. 15. In which manner Amazon Web Services looks ideal? Answer: This is very basic but most common AWS Cloud Support Engineer interview questions and the candidate can be summarized the answer to it in the following manner. These services will always be there for the clients of Amazon Web Services. For more details about the services, you can browse the official web page of Amazon Web Service (AWS). 16. Explain the role of DNS? Answer: The abbreviation DNS stands for Domain Name System. It is a unique website nomenclature or naming system used to give the details of any website. Every website present all across the world has a different and unique domain name system. According to your business type and firm works, you are free to choose a domain name. Domain name system is a distributed directory that acts or performs so many tasks of the websites. You can call the DNS as the phone book of your system as it contains information about browsing on the internet. Like when you don’t know about any computer by its location then by using the domain name system or DNS you can easily acquire the required information within some really quick time. Amazon AWS cloud support engineer interview questions also include this type of simple but important questions. So, just go through these basic networking questions and get prepared to clear the interview. 17. What does Amazon Web Services (AWS) data center mean? Answer: The physical servers, which run the available AWS resources will be termed as the data center in the concept of AWS. Each availability zone will surely have one or more AWS data centers to provide the required help and support to the consumers of Amazon Web Services. This is one of the most common AWS cloud support engineer interview questions and answers for the job seekers, who want to get a job in the AWS cloud. You can come across this type of infrastructure based questions while going through AWS cloud support engineer interview questions as these questions are asked in the AWS support engineer interview. So, don’t miss and clear your concepts of AWS infrastructure to clear the interview. 18. What do you mean by an AWS region? Answer: You may find a number of infrastructure-based questions while going through the AWS Cloud Support Engineer interview questions.This question about AWS region can be summarized as follows. At the highest or grand levels of AWS infrastructure, it will be made up of numerous regions all across the globe and this entire happening can be called or known as an AWS region. Every AWS region will consist of plenty of AWS availability zones especially in those areas where the AWS availability zones are located. It is actually a collection of physical AWS infrastructures or its regions present all across the world. Multiple availability zones will surely have at least one AWS region for showing much better and improved functioning to the clients within some faster time. To be truly honest, where the availability zones are located in the entire world, then such availability zones will surely have a unique AWS region to perform better and reliable functions as according to the needs of customers. 19. Why do people love to prefer cloud-based services for reliable storage? Cloud-based storage facility allows a user to share or access programming files from multiple systems or devices. This means that you can easily share the desired file among your workers for different purposes. The speed of sharing and accessing would be superior when you prefer the cloud-based storage. There is nothing like limitations in the cloud-based storage facility as you can store music files, videos, movies and a lot of other things. Because of these three reasons, most of the people all across the globe love to choose the cloud-based storage facility instead of other similar storage options. Storage is also another section, you should be prepared with while preparing for the AWS Cloud Support Engineer interview questions. 20. How does the term elasticity affect the clients of Amazon Web Service (AWS)? Answer: The subtraction systems of servers usually depend on the term elasticity. You can easily allow the system to perform quick addition and subtraction of the servers according to your desires. Hence, at the time when you want to add or decrease servers, you will need to use the elasticity. If you remove the unused users then you can easily boost up the speed of working in amazon web services. The demand for web applications can increase or decrease anytime so you have to be ready to use the elasticity. 21. What do you know about cloud computing? Answer: The time when you want to save or store plenty of different files in a system the term cloud computing can play a major role. To define the location or storage concept in cloud-based storage option, the users will surely need to use the cloud computing time after time. This can turn out to be one of the most common AWS cloud support engineer interview questions and answers asked by the interviewer. So, again before going on such interviews clear your doubts about computer, internet, and other relevant topics. 22. What are the different types of the routing protocol? These are some of the common routing types used by various system users. This can turn out to be one of the most common AWS cloud support engineer interview questions asked by the interviewer. So, before going on such interviews clear your doubts about the network, infrastructure, and other relevant topics. 23. What is the main difference between private and public subnet? Answer: A private subnet usually sets the route to a NAT instance. Only private IP and internet traffic is routed in the private subnet. While on the other hand, a public subnet requires a public IP to talk. This is the main difference between any private and public subnet. This is one of the most fascinating AWS cloud support engineer interview questions asked by the interviewer. 24. How would you convince any customer to start using AWS? Answer: Such questions can be asked during your interview time to test out your presence of mind, convincing power, and speaking capability. In such a situation, as a candidate, you have to stay calm and positive. If this question is there in your interview you have to answer it with honesty. You can say I have the knowledge and experience of handling such customers and so many things you can say in your reply. You can convince customer by explaining the features and benefits of the adoption of the AWS cloud. Hence, this question can easily be answered by job seekers according to their thinking level and speaking power. 25. What do you know about the term computer networking? Answer: When any of the computer users want to exchange or share some information, videos, movies, and other data then such multiple systems will be connected by a term called network. It is the actual communication process which takes a place among the worldwide established computers. It actually allows the nodes to exchange or share information as according to the input of users. 26. Why should anyone use TCP protocol instead of others? It offers a good failure recovery. This means if any sudden failure takes place then TCP protocol will surely handle such a situation and doesn’t give any drawbacks. The rate of error handling of transmission control protocol or TCP is much faster and accurate than the other accessible protocols. TCP is an independent platform which doesn’t depend on other platforms to exchange communication things. This can provide a great benefit to the users who always want to keep their personal and professional information private during work time. It never interrupts the existing services whether you want to add networks or decrease networks. Because of these above-mentioned reasons, one should prefer to use the TCP protocol instead of other protocols. 27. What do you know about UDP? Answer: User datagram protocol known as the UDP, is a connectionless protocol that can easily be used for different purpose in various applications. The time of establishing a connection of UDP is much improved and faster than the TCP and other protocols. So, the users will not only get a connectionless protocol but also it provides a great working speed to its users. Sometimes, it can be used as the transport layer when you talk about networking and its most important working layers. These are the main reasons why most of the people love to go with the UDP protocol instead of others. 28. Do you know how the internet works in your environment? Answer: There are plenty of internet layers and web servers available all across the world which actually becomes the communication path of the internet. Sharing could not become much faster without the innovation of the internet. Circuit switching is a term which internet use for working in your current environment. Packet switching is another internet tool which makes it much simpler for the internet to exchange or share the information. This is among most popular AWS cloud support engineer interview questions as it provides you with some basic information of the internet. Packing switching simply refers to dividing each internet server into multiple internet servers. The computer doesn’t need any physical way. The supporting devices of the internet would be enough to make a better and reliable sharing of internet among plenty of computers. 29. How can you easily manage processes in Linux or UNIX based operating systems? Answer: The Unix OS starts to work when any command is issued by the users. When a program is running in OS then an instance of the program will automatically be created. PS is the commonly used processing command which you can prefer to use when you really want to manage the processes in Linux OS. The PS command usually provides details of running activities and processes. Topis another exceptional process management command which you can prefer to use during all the processes. The activity of real-time could be captured by such demands. Likewise, when you want to kill a command or finish a command during on-going commands then you can prefer to use the Kill command. It will become easier for you to manage the processes in the Linux system. Kill all Proc. Command is the same command which can be used for stopping or finishing the on-going processes. Hence, if you want to control various processes on a Linux operating system then you can use the above-mentioned management commands. df and du are the two other important commands which you can use to show out the system space information. df command usually provides the disk usage details in a system while the du command is useful when you want to get the details of directory space usages. 30. What are some of the commonly used networking commands which you can use in different situations? Ping host: it gives the required output results after it pings the hosts. Wget file: When you want to download any file from networks then you can prefer to use the wget networking command instead of others. Weget-c file: To stop the downloading file, anyone can use the weget-c file networking command. These are the top networking commands which can make the communication more reliable and better on the networks. If you are searching for cloud support engineer job description then again it is important to boost your information or knowledge about the networking commands. So, when you go for an AWS Cloud Support Engineer interview, you will be tested on the infrastructure by asking questions related to network and storage. Along with it, you will also be asked the questions based on OS internals. You may or may not be asked about the basic questions on Cloud Computing and AWS Cloud. AWS Cloud Support Engineer is a cloud professional who provides application support and aims at a resolution of the issues associated with the application. This is an important job role where the candidates work 24*7 that is, in the day shift as well as in the night shift. It is not that easy to crack the interview and become an AWS Cloud Support Engineer. So, to help you clear the job interview, we’ve presented the latest AWS Cloud Support Engineer interview questions with the detailed answers. These frequently asked AWS Cloud Support Engineer interview questions will be very useful for the candidates who want to secure their job. Whizlabs, pioneering the online certification training industry, aims to help the aspirants in building a bright career in AWS. We provide certification training, preparation guides, and interview questions for the AWS aspirants. 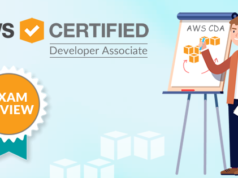 If you are preparing for one of the AWS certifications to validate your skills, Whizlabs AWS Certifications Training Courses and Practice tests will help you reach the goal. Wish you luck for your AWS career!